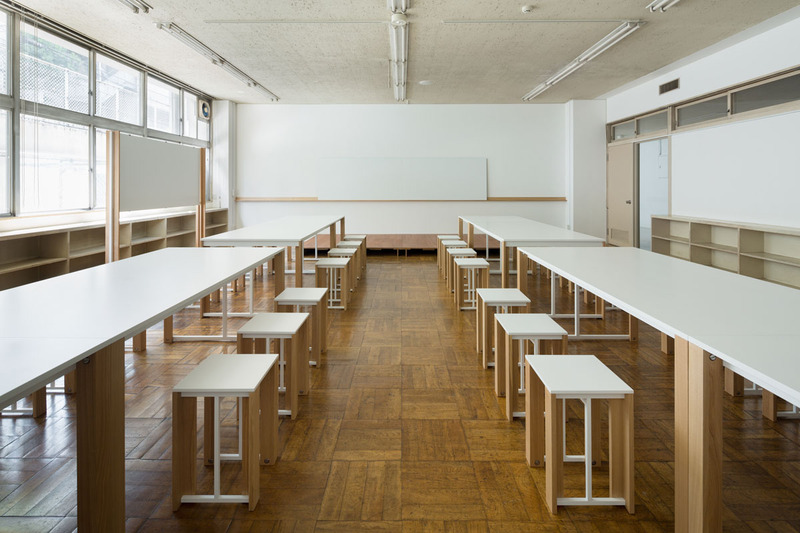 We designed workshop furniture for Studio Renova Ring, located at a former junior high school. 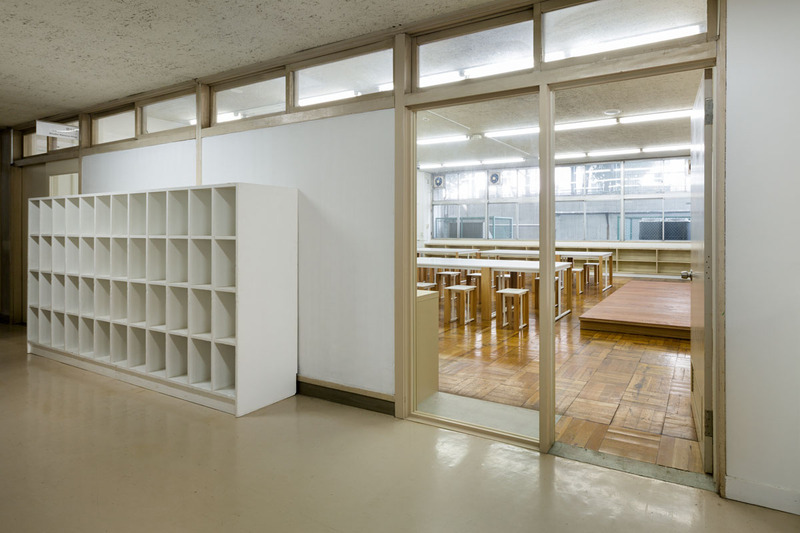 The workshop space has a distinct “classroom” feeling. 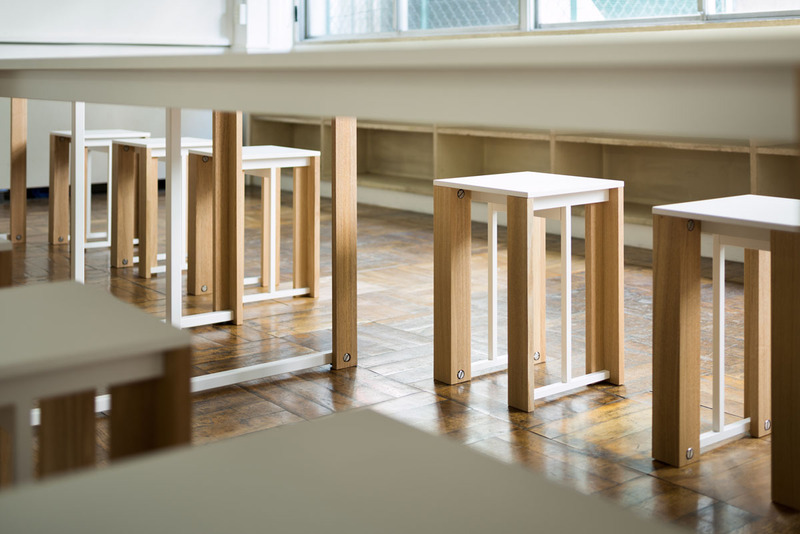 Initially we thought it would be best to use the original school furniture, which would also be suitable for workshop. 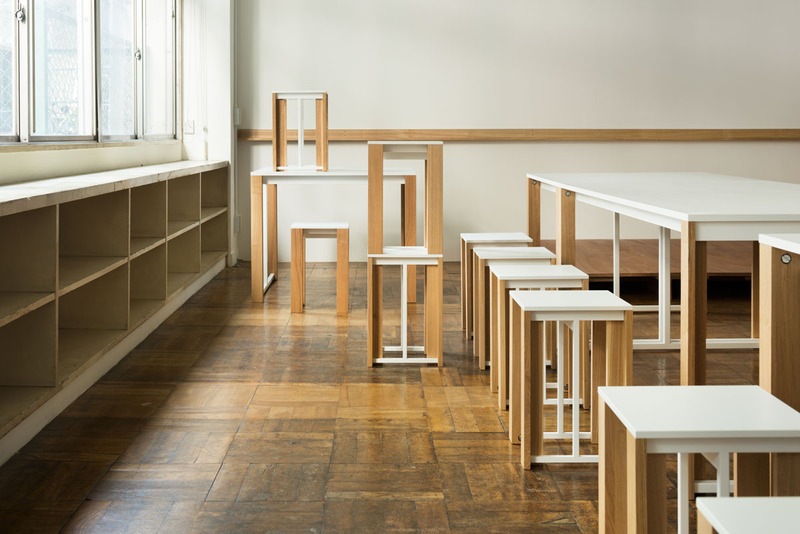 But unfortunately it was no longer available, so we designed furniture with a distinct silhouette that reminds one of “classroom” furniture. 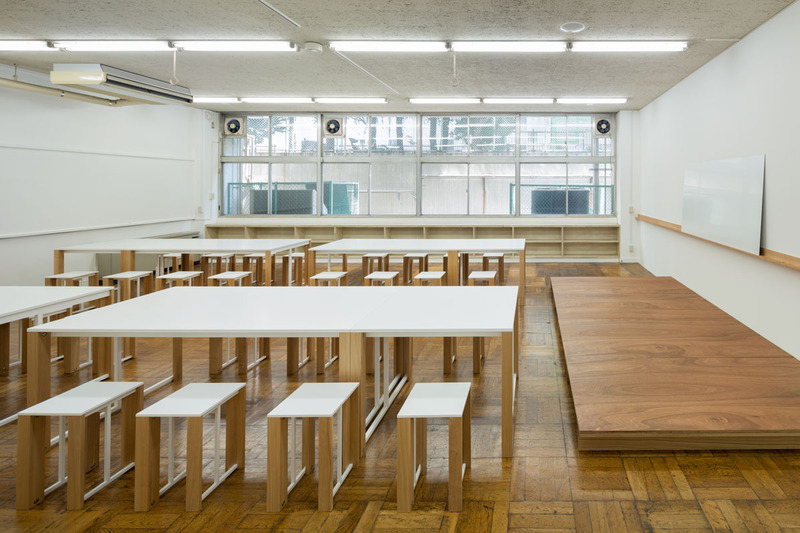 Legs of chairs and desks are comprised of wood and white steel pipes. White steel and wood components seem to be independent of each other and rather ambiguous which components are supporting seat or desktop. 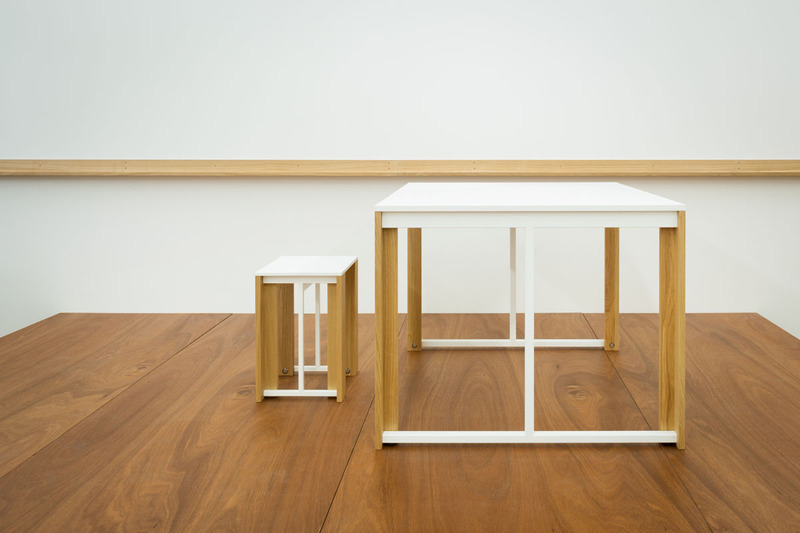 It is actually a hybrid structural system comprised of wood and steel.